Mountain climber, world-record holder, and internationally known television personality Grylls knows a thing or two about adventure. The greatest adventure he's experienced, though, is raising his three boys. Grylls shares the quotes, Scripture verses, and spiritual wisdom he has learned through the literal ups and downs of an exciting life. Featuring cartoons from well-known sketch artist Charlie Mackesy, this book is a poignant primer for boys and men of all ages. 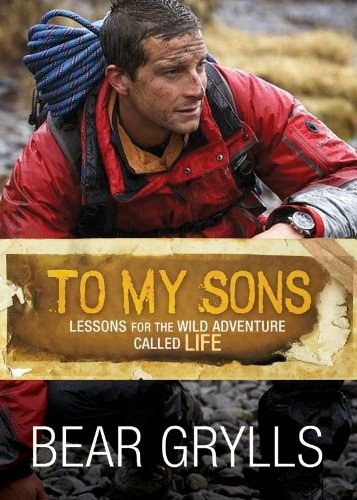 This little book is a message from Bear Grylls to his children regarding how they should live. It is filled with memorable and insightful, pithy sayings along with some relevant Scripture passages from the Bible. The book is moving because it displays a father's love to his children who wants the best for his sons in all things motivated by a sincere faith in Jesus Christ. Though the book is small and inexpensive, it is handsomely published. It would make a good gift to fathers who will in turn read it to their children as it is humorously illustrated to enhance the message of the book.